Jason Crotty is an Associate with Pierce Davis & Perritano LLP. His practice is focused on litigation and trial advocacy in defense of corporations, individuals, governmental subdivisions, and agencies in the Massachusetts State and Federal Courts. Mr. Crotty is also a Mediator, certified in compliance with Massachusetts Supreme Judicial Court requirements. Notably, Mr. Crotty was involved in several high profile cases, including the toxic exposure litigation which ensued as a result of the September 11, 2001 terrorist attacks on the World Trade Center in Manhattan, NY, and the civil litigation surrounding the FBI Boston office’s use of underworld figures as confidential informants and the murders which allegedly resulted from that endeavor. Mr. Crotty’s mediation practice mirrors his litigation experience, focusing on the following areas: personal injury/torts, catastrophic injury and death cases, municipal litigation, law enforcement cases, elevator and escalator accidents, product liability, property damage, premises liability, discrimination and employment issues and construction disputes. 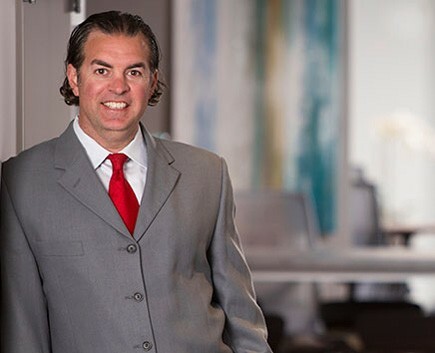 Before joining Pierce Davis & Perritano LLP, Mr. Crotty practiced in Palm Beach County, Florida for a number of years, specializing in product liability and general civil litigation. During law school, Mr. Crotty was a certified legal intern at the Broward County State Attorney’s Office. Injury Suit Against School Dismissed: Lawson v. N. Berkshire Voc. Regional Sch. Dist.